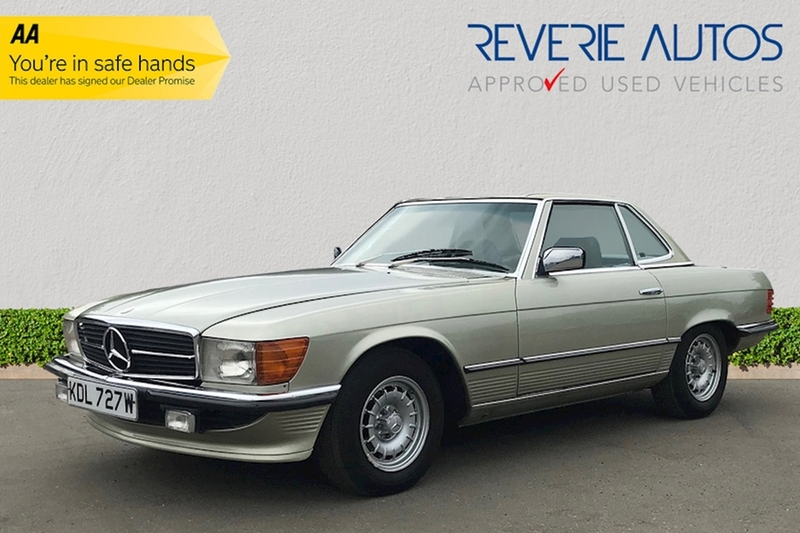 Reverie Autos are delighted to offer this exceptional 1980 Mercedes Benz R107 280 SL Auto finished in Thistle Green with the very sought after and contrasting half leather half green sports check fabric interior. 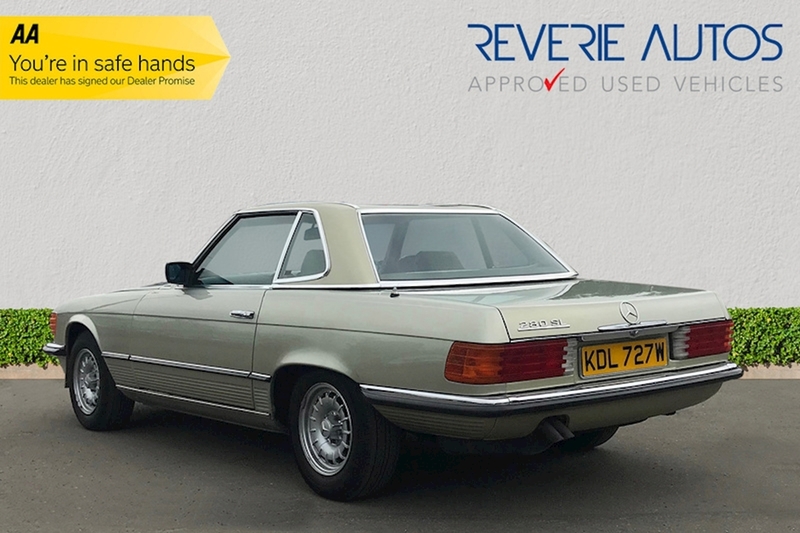 It is rare to find such a beauty in this condition, ready to be used and enjoyed by its new owner. The 280 SL comes with Thistle Green exterior & green interior soft top and a colour-coded original green hard top. 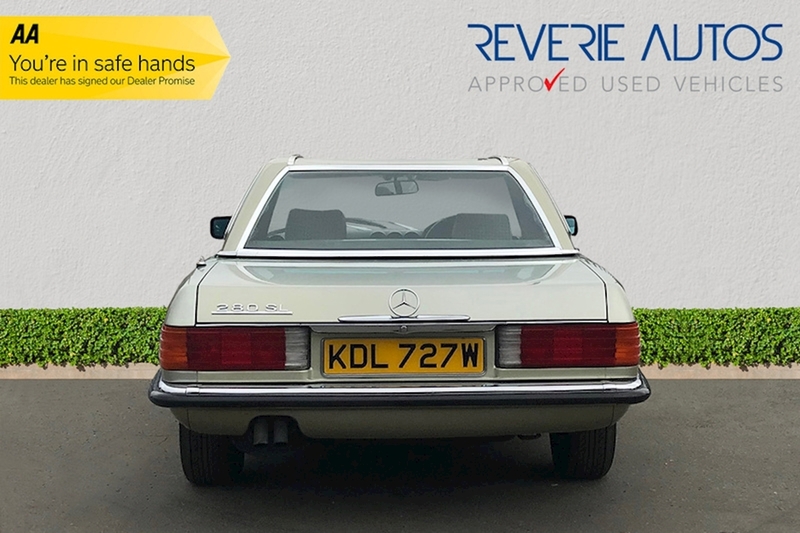 The interior is lined with green leather and chequered cloth along with wood trim across the centre console and dash, First registered on 19th of November 1980 it has since been inspected, serviced and maintained by classic car specialists the last of which is Mercedes-Benz Specialist George Fraser (http://www.georgefraser.com). An original Service History Book with 10 stamps comes with the car including a wealth of records of all previous MOTs, services and maintenance carried out. 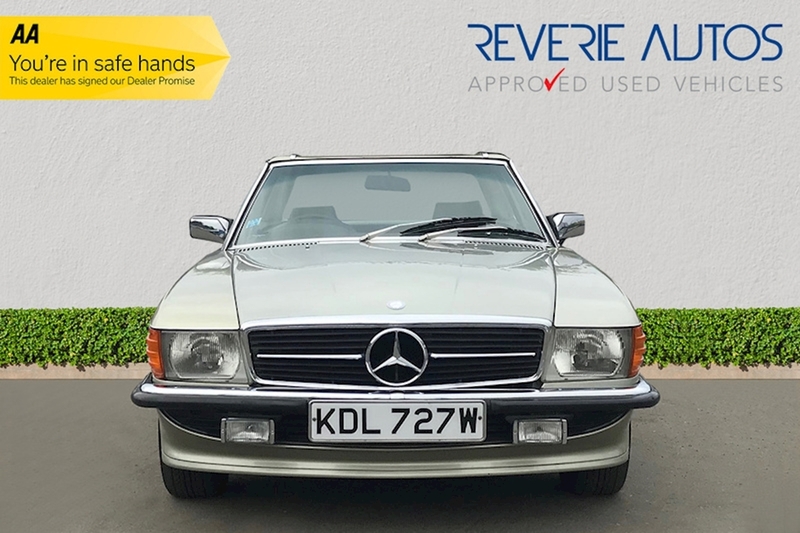 Supplied with two original keys, the Mercedes-Benz SL Brochure, the original Book Pack which includes; Owners Manual, Mercedes-Benz European Service Stations Book, UK Service Station Book, Warranty Leaflet and The Mercedes-Benz ABC Travel Guide (in German). 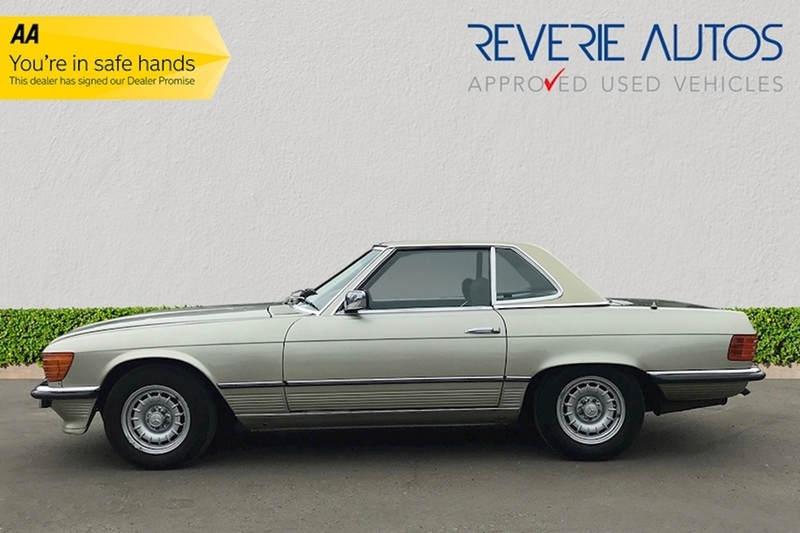 R107 Mercedes-Benz SL's are rapidly increasing in popularity and value. 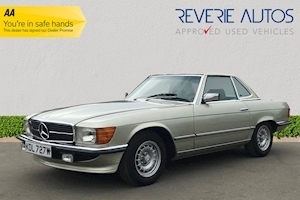 The 280 SL is available to view 7 days a week, but please note that all viewings are strictly by appointment only. 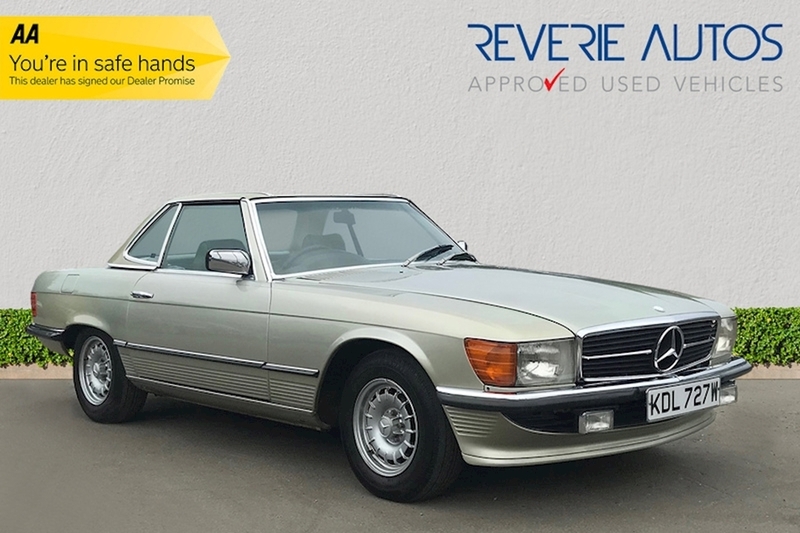 Competitive Finance options are available subject to status and nationwide delivery can also be arranged if required. Opening hours are 9.30am to 7.00pm Monday to Sunday. All major credit/debit cards accepted. 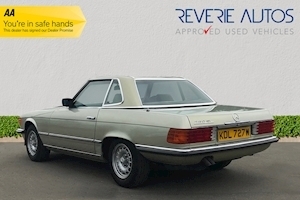 All vehicles are HPI checked and include; 12 months AA breakdown cover and our own 30-Day reassurance promise. Five-day drive away insurance is also available. P/X always welcome. 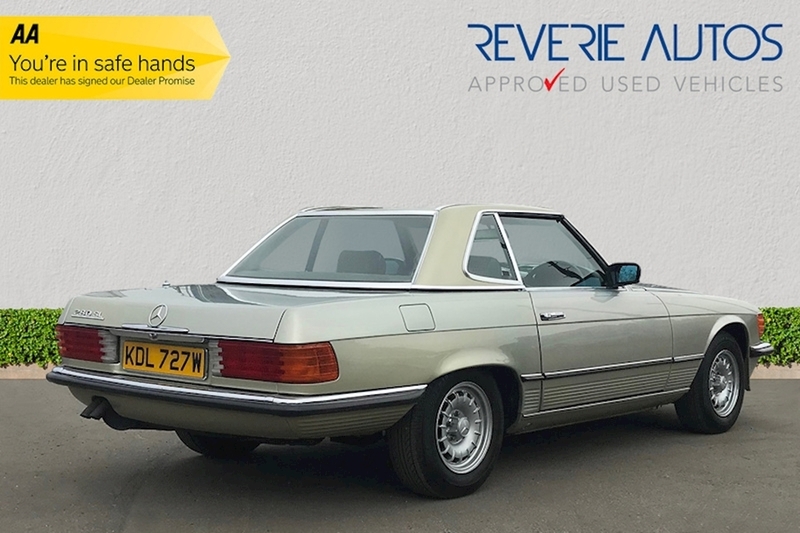 For more information on any of our vehicles or to book a test drive please contact our friendly and helpful sales team on 01707684934 or visit our website www.reverieautos.co.uk. Competitive finance options available and zero deposit finance can be arranged subject to status. 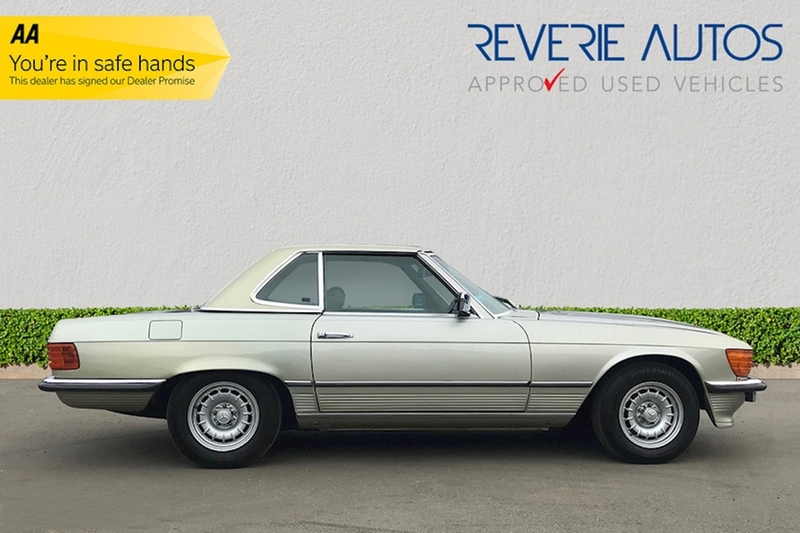 You can rely on Reverie Autos to buy your next car with confidence. We pride ourselves in our unmatched aftersales customer care, don't just take our word for it, see what our customers have said about us on our reviews page. Remember to check the details of this vehicle with the dealer before you buy it to make sure that all the information is accurate. Call today to book your viewing and test drive.